Abobo's Big Adventure is a game that emulates the games of 8-bit Nintendo. Abobo's Big Adventure is actually a parody of several classic games 8-bit Nintendo, like Super Mario Bros, Mega Man and Double Dragon, with which you can have a blast having fun. 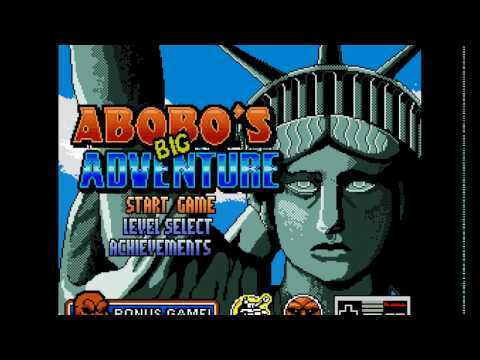 For all the fans of the games 8-bit generation Abobo's Big Adventure is a tribute and the ability to play for free, since the program is not sold and is available online for free. To enter the game you just have to access the official website and you do not download or install any files, as it is played directly from the device browser. The game's story is simple: the protagonist is raw and surly Abodo, one of the bosses of the game Double Dragon. In Abobo's Big Adventure your child is abducted by the minions that in other games he protected him and you, you'll be in the shoes of Abobo, you'll have to fight them to release your child. Abobo's Big Adventure abounds in reminiscence of classic titles where you can easily recognize scenes and characters, and even signature sounds of entertainment games Nintendo (NES) in 8-bits.